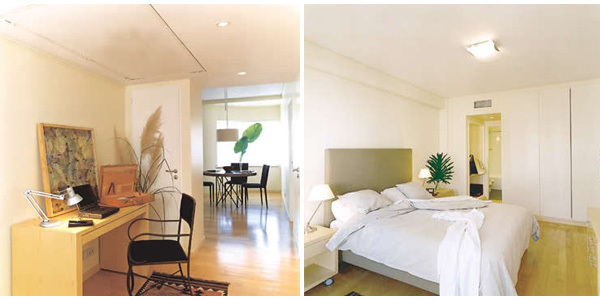 Art Suites offers all the comfort of home in the stylish Recoleta area, the residential heart of Buenos Aires. Surrounded by elegant shops, museums and restaurants, and just a few minutes away from the financial district. The Premium offers 2 bedrooms and the Executive one one bedroom. The apartments are located on a quiet street, with sunny balconies and spacious interiors. The modern yet comfortable decor is designed for both leisure and business travelers. The building was customed designed and constructed by a family of local architects, who own and operate Artsuites.